An ordinary hot air balloon ride turns extraordinary when you accidentally wind up on a mysterious island. When it is revealed that this mystical land is ruled by an evil witch, you begin to realize that your arrival is not a coincidence, and the loyal people of the island are depending on you to break the witch’s spell. Explore the mysterious forest, rocky mountains, dark caves and high altitude lakes as you make your way through the picturesque sceneries of the land towards the witch’s castle. 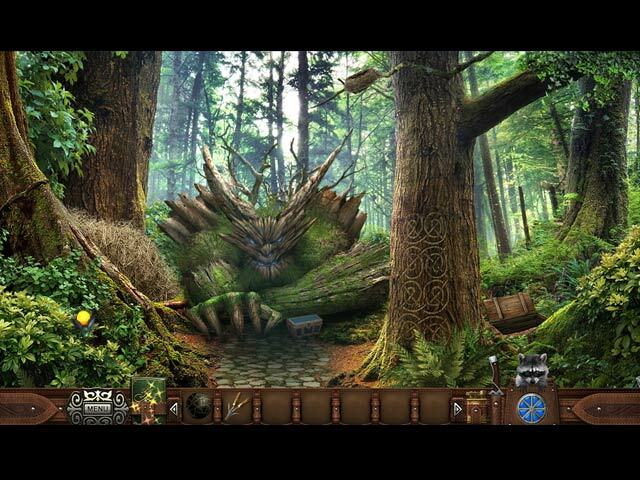 Can you destroy the witch’s curse and reveal the secrets of the ancient prophecy? 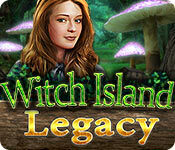 Legacy: Witch Island is rated 3.8 out of 5 by 90. Rated 5 out of 5 by mavk from Awesome graphics Awesome graphics. Environment looked something like Medieval Austrian area near the Alps. Beautiful landscapes, blue skies (as opposed to the absurd purple/pink/orange/etc, skies andcoloring so common in games). Nice buildings/structures inside and out. Good detail. Excellent blend of photographic and “painted” scenery (in a given scene). HOSs good - especially in allowing exit/completion if you find the main item, labelled in green (HOSs are sometimes tedious to me otherwise, but these were quite pleasant). Plenty of puzzles (I like puzzles) - usually too easy (to my taste), but range of difficulty with some challenging. Good help. No jump map, but not needed given how the game is laid out and how you travel in it. Music, sound typical. Characters do not have voice overs - you read what they say. I don’t mind this but I suspect most players would enjoy the game more if it had voice overs. Very much like that you have a knife and a lighter with you at all times. Much more realistic and less frustrating than typical games scenario - where you find a knife, use it, and then the game throws away the knife you found even though you need a knife (or sharp object etc.) again later. Who would throw their knife away?! Credit to the folks who made the decision to allow you to keep a knife (and lighter). Again, awesome graphics. Rated 5 out of 5 by ViviOlivi from Loved the Number of Mini-games! I was thoroughly impressed with this game. There were 48 mini-games to play, which surpasses any game I have played on Big Fish to date. The storyline is good, as is the level of challenge (some experienced players might find the game a bit easy). The only caveat was the lack of an interactive map. There was a bit of backtracking through previous scenes, but nothing too tedious. Having an interactive map to jump from area to area would have been beneficial, though. I would definitely recommend this game! Rated 5 out of 5 by 4aces4me from What a Clever and Beautiful Game Really enjoyed it. 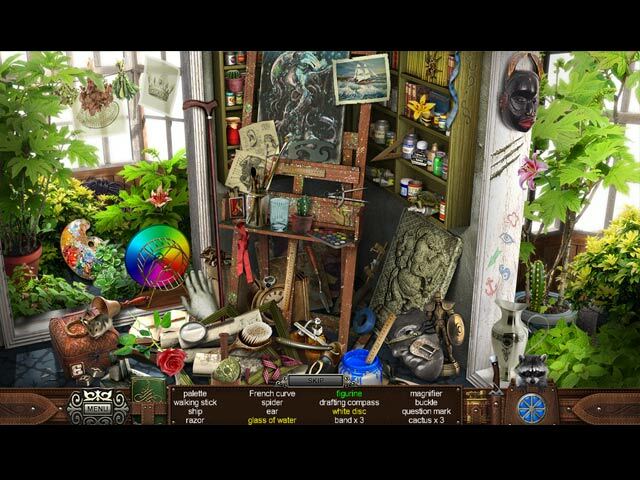 Pretty easy to find the stuff in the Hidden object scenes, graphics don’t bother my eyes, beautiful colors, scenes are bright, whimsical and pleasant, never ugly and dark. Raccoon is the hint button, nice island to move around on. It has lots of mini games and they are pretty easy. Nice for a relaxing game to go to without working hard at it. All mini games can be replayed after you complete them. There are 8 pages of games and some with 3 levels to play, which is a really nice feature. Sometimes you don’t have time to get back into the game, you just want to play a few mini games and relax. You also have 31 glowing beetles to find for a little extra something to do. Achievements are available to earn for being a “teleportation expert“, a “Brave heart” for crossing the pit, an “alchemist” for making paints and 10 or more others just as unique. This game provides lots of play. The developer is very talented and includes some different ideas and ways to do things. There is a quirk to watch out for. It’s just a small language translation problem. Every box has a LID that is spelled LEAD by the programmers. At first it throws you off, do they mean lead as in melted metal a plumber uses?, or do they mean lead me around by the nose?, or do they mean lead as leading the race? but after they continue to do it several times more, you figure it out and go on with it. Best game I ever played as far as relaxing and smiling at how clever they did things. It a great game for my friends who are retired and enjoying these computer games from Big Fish. For those of you still working, buy it, it’s a great value and money well spent for your relaxing time. Rated 5 out of 5 by tutortime from Really nice game to play. I loved the many different mini games and cut scenes. Rated 5 out of 5 by scamp69 from Great puzzles and colorful HOs Just finished the game and it was delightful. Am filing it in my Best Games folder and will enjoy it again someday. Miss having a map but the Hint button will get you where you need to go. Rated 5 out of 5 by tigerlily142 from Love this game I liked the demo on this game so I purchased it when I only played 15 minutes of it. That's how much I liked it. I made the mistake of looking for a walk-through by clicking on the full screen to minimize it. When I did that it went into my task bar and I could not bring it back up. Every time I pressed on it, it would not come back. I emailed bigfishgames and told them what happened. They emailed me back with a solution. The solution didn't work and we went back and fourth about four times. The last time they emailed me with another solution it worked. I was so happy to get my game back. Love this game. Also bigfishgames gave me a coupon code for a free game because of all the trouble. I only purchase games from bigfish. They are the best. This game has a lot of mini games to play, which I like. The story line is also good. Glad they could fix the problem. Rated 5 out of 5 by Teakapacem from Enchanting, lovely paced HO-Puzzle game Loved the gentle unfolding of the story line...well connected and thorough. I felt satisfied when the enchantment ended. The Hops were so clear and pretty to look at...but still hard to find some well hidden aspects. Puzzles were so numerous, so varied and colorful, I felt like I won the game lottery. Engaging from start to finish...this was very relaxing....and took me all day! Plenty of replay value. Just an enjoyable game, guaranteed to lower anyone's stress levels. . Reveal the secret of an ancient prophecy! Fascinating tasks and exciting puzzles await you behind the breathtaking scenery of a mysterious island!